Use for quick repairs of dents and creases from outside the vehicle. These pull rods elimiate time consuming removal and replacement of upholsery, headliners and inner panels. 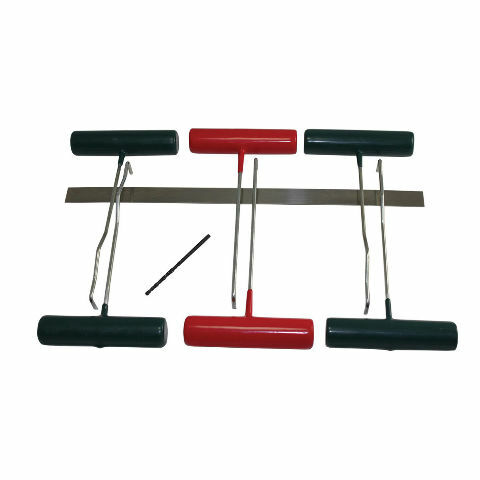 Set consists of four pull rods, two pick rods, one stainless steel straight edge, and on drill bit.